There could be a doubling of overdraft facility to Rs 10,000 under the Pradhan Mantri Jan Dhan Yojana (PMJDY) account holders as part of the government's effort to fund the unfunded. Prime Minister Narendra Modi is expected to announce benefits for about 32 crore Jan Dhan account holders in his Independence Day address this week to provide a boost to the government's financial inclusion drive, official sources said. There could be a doubling of overdraft facility to Rs 10,000 under the Pradhan Mantri Jan Dhan Yojana (PMJDY) account holders as part of the government's effort to fund the unfunded, they said. Besides, the government may announce attractive micro insurance scheme on the occasion, the sources said. The free accident cover under the RuPay Cardholders could be increased from Rs 1 lakh. 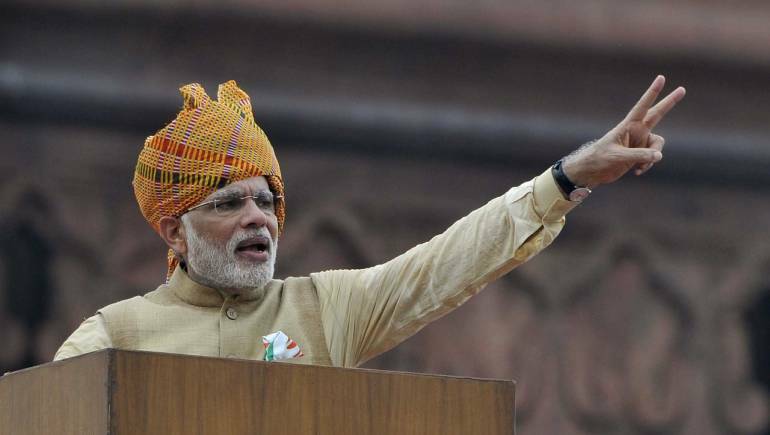 The Phase II of PMJDY will come to an end on August 15 and the scheme would be due for a revamp with further goals, the sources said, adding that the Prime Minister's Independence Day speech would be the best platform to make announcement. PMJDY, the flagship financial inclusion drive, was launched in August 2014. The first phase ended on August 14, 2015 was focussed on opening basic bank accounts and RuPay debit card. In the last four years, 32.25 crore PMJDY accounts have been opened with Rs 80,674.82 crore outstanding balance. In addition, the government may raise the pension limit under Atal Pension Yojana (APY), announced in 2015-16, to up to Rs 10,000 per month from the existing slab of up to Rs 5,000. In order to address the longevity risks among the workers in the unorganised sector, and encourage them to voluntarily save for retirement, the government had started the Swavalamban Scheme in 2010-11. However, coverage under Swavalamban Scheme is inadequate mainly due to lack of clarity of pension benefits. The APY was focussed on all citizens in the unorganised sector, who would join the National Pension System (NPS) administered by the Pension Fund Regulatory and Development Authority (PFRDA) and who are not members of any statutory social security scheme. Under the APY, the subscribers would receive the pension of Rs 1,000-5,000 per month at the age of 60 years, depending on their contributions.